Once you begin to have employees, there are several things you need to add to your "To Do" list. One is constant training. New technology comes out all the time. Technicians need to improve continually. A second thing you add to your routine is the creation of culture. Company culture is the perfect example of why planning and goal-setting are important. If you don't "create" a culture, it will create itself. You don't have to have some big master scheme. But you should have some intentions about what you want. The more you try to create a culture, the more successful you'll be. 4) After lunch we spend 1-2 hours on the training. Normally it is conducted by the most technical staff member. But sometimes it's run by a lower level tech with specialized knowledge. This includes training on a new PSA system, a new backup system, a new operating system, etc. 5) After the training we normally break up and disperse slowly. Because we hold our training on Friday afternoon, someone needs to check the service board. A few tickets may need to be finished up before the weekend. But overall, the day ends very leisurely and low stress. You may even choose to let some folks leave early. Don't be unclear about this point: This is a technical training. You need to really use this time to improve the technical abilities of your team. Help them improve themselves. Continually improve. Always moving up. The team building piece will take care of itself. You're just using the technical training to give them an opportunity to get to know each other better. - There is an auto generated Service Request that will show up the third week of every month. This gives plenty of time for everyone to see it on their schedule and be ready for it. - All technicians are assigned to the service request and scheduled for the last half of the day from 1pm to 5 pm. - There is a document in the shared storage area (SharePoint, cloud drive, mapped drive, etc.) called "Final Friday Training Topics.docx" that lists all suggested and completed subjects for the Final Friday training. 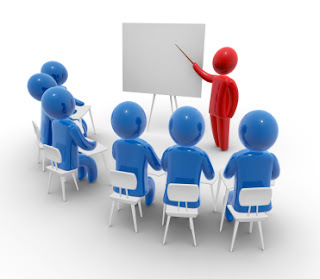 - All technicians are expected to attend and encouraged to take a turn in presenting training. Obviously you will create your own list, adding training specific to your company and your offerings. We started this practice when there were just three of us. It's easy to set the calendar, but it can be hard to get out of the trenches and actually do what you know is in your company's best interest. This is a higher-level activity and should be treated as such. That means it is more important than low-level tasks and tickets; more important than medium tasks and ticket. If you have true emergencies, of course they need to be handled. But don't start making excuses. I know this four hours can seem unproductive when there's a backlog of work. But you're only doing this twelve times a year. And whether you choose First Friday or Final Friday, there's bound to be a holiday or two that interfere. Be flexible, but not too flexible. Build that habit! 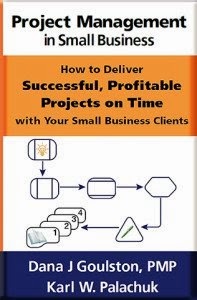 by Karl W. Palachuk - Still the best Quick-Start Guide to Managed Services! 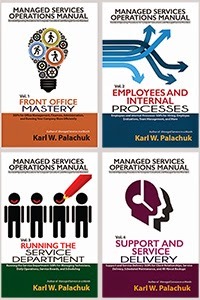 by Karl W. Palachuk - Check Out the #1 ranked Managed Services book at Amazon!